6 “And ye shall hear of wars and rumours of wars: see that ye be not troubled: for all these things must come to pass, but the end is not yet. Everyone that is alive in this hour of the last days of man-kinds last gasp of ruling themselves, can see the chaos that is virtually enveloping this world. If it hasn't hit you directly, you may know someone who has felt the upheaval that is coming upon this world, and the neighborhood around you. Be it either natural environmental disasters, flooding, earthquakes, volcanoes that have come awake all up and down the Pacific coastlines and elsewhere, raging fires that are out of control in California or other states in the western section of the USA, or see the wars that have broken out in the Middle East and the threat of wars that could effect every man and women on this planet. But with all this surrounding us and many that are in fear of what is coming upon the earth, it is good to step back and survey the surrounding landscape of historical details along with current events that can only be related to Bible prophecy that is being fulfilled in these last days. Let us, for a moment, consider the awesomeness of this big picture that is coming quickly into clearer view. For two thousand years, since the ascension of our Lord Jesus Christ to the right hand of God our Father, mankind or the generations of those who put their faith in our Savior, have looked expectantly at the clouds and believed that they would see the coming of our Lord in their generation. There have been so many signs that points to the nearness of the Jesus return for His church, that people have become almost complacent with the routine they have seen down through times past. Many disbelieving people who scoffed at the very idea of the Lord's return came to believe He wasn't coming at all. Those of us who are living in this generation of the last days are eyewitnesses to events for which the ancient prophets had no words to describe, but can only be decipherable to that generation that lives in it. To the prophets, to them it was “somewhere in time”. "8 And I heard, but I understood not: then said I, O my Lord, what shall be the end of these things? Just try and see it from Daniel's perspective. He had just absorbed a vision of Israel's future, divided into seventy weeks of years. God revealed to Daniel the rise and fall of four successive world empires; Babylon, Medo-Persia, Greece, and Rome. Much of Daniel's vision would have been somewhat familiar; the mechanics of government and technology of war didn't change that much from the 5th century BC to the 1st century AD. The Messenger of God jumped from the first century AD to somewhere in the 21st Century when Jerusalem would be sacked and the temple destroyed in 70AD by Titus and then jumping forward near 2000 years to the confirmation of a seven year treaty between the many nations and the coming Anti-Christ and the start of the Tribulation period of 7 years, or Daniel's 70th week. Daniel had seen things that staggered him so much he didn't know where to begin. There is a principle in Bible scriptures that dictates that God doesn't repeat Himself unnecessarily, but has a purpose if He does. If God tells you something twice, then it is really important and those who read it should really take notice, as God wants you to get what He is saying. The visions were so complex that the prophet was left near speechless to understand what it was he was being shown. This is the same man, who was so in tune with the Mind of God that he could divine and interpret dreams, but this vision was designed only for the generation that would actually live it and see its fulfillment. As mentioned, each generations has watched for signs of the times that pointed to the imminent return of our Lord, but they all lacked one thing. That one thing will be mentioned further in this message. Take for example, the Church at Thessalonica that was so convinced that the Day of the Lord was upon them, and that they had missed the rapture of the Church and were sore afraid. Paul had to comfort them and tell them what the signs would be before the coming Day of the Lord, and they were not living in it yet. But the angel that came to Daniel said that the signs of the times would only be understandable to those who were actually living in that particular time of the generation of the end. There is a world of difference between 'knowledge' and 'wisdom'. One can have great wisdom without much knowledge. Some of the wisest men I ever knew had little or no education. But it is equally true that you can have a tremendous amount of knowledge but have no wisdom, but is known to have book smarts, but no common “horse sense”. I've known many just such as I describe. The bookstores are full of examples of Ph.Ds who have dedicated themselves to proving just that and it fills our universities of those who have knowledge but very little wisdom. Wisdom and knowledge is what Daniel was seeking when he made inquiries of the Angel Gabriel, which is who the Bible says was sent. The Proverbs of Solomon explain 'understanding' as an equation that could be expressed this way: "wisdom plus knowledge equals understanding." Daniel was a very wise man, but he had nothing to compare the revelation he was receiving to what was evident in his world at the time and had no understanding of what was being revealed. It left him totally confused, but to write what was seen, as the understanding of this knowledge was not for him, but for another time. I believe it was for our time in the generation we are now living. As we look around us and try to understand what is happening and the Big Picture, it comes down to the sign that Jesus told us would be the sign of the last generation. That is what was lacking of all past generations...the rebirth of Israel. It began when, for the first time since the times of Daniel, there is, in this generation, a political and national entity called "Israel" composed of Daniel's people and living in Daniel's city. From the day that Israel was reborn it was unheard of for a nation to be reborn in just one day, but was prophesied that it would happen just that way when Israel would, against all odds, be reborn once again in one day. But on 14 May 1948, the countdown clock began ticking down. As the prophecy spoken of by Jesus came to pass, and as I have mentioned in many messages past, Israel is the door to end time prophecy, and Jerusalem is the key to that door. God made a promise to the Prophet Daniel, and God keeps His promises. As noted, the Messiah was cut off after 483 years of a 490 year prophecy that still has 7 remaining years for the prophecy to be completed. That clock is now ticking away. But one doesn't need only to judge by the “fig Tree” of Matthew 24's prophecy to make that point. The point makes it all by itself. Virtually every major component of Bible prophecy makes the Big Picture by tracing it to this point in modern history. Many things are linked with the restoration of the nation of Israel and it all began in the same year of 1948. -The war on terrorism and the rise of Muslim atrocities began in 1948 and continues to the present time. -The prophesied coming of the Anti-Christ began with the destruction of Jerusalem and the burning of the Temple, and those legions of the Roman Empire as spoken of in Daniel 9:27 . -Those “people” became the modern version of the Roman Empire in 1948 when the European Union was formed out of the Benelux Treaty. -The current East/West geopolitical alignment in the Middle East is a direct result of the US/Soviet Cold War which officially kicked off with the 1948 Berlin Airlift. -The first Constitution for a global government, the Universal Declaration of Rights and Freedoms was ratified by the UN Member States in 1948. -The General Agreement on Tariffs and Trade (GATT) Treaty establishing global economic policy rules (and ultimately evolving into the World Trade Organization) was signed and ratified by the UN in 1948. -The World Council of Churches was established under UN auspices in Amsterdam in August, 1948. -China and Taiwan were divided by the 1947-1948 Communist takeover of the mainland, giving birth to the inscrutable People's Republic of China. -Muslim Pakistan broke from newly independent India in 1948, creating the Islamic republic that ultimately gave the world the first Islamic Bomb, the Taliban and Osama bin Laden. This is all historical facts that anyone can point to that speaks of the co-ordination by Divine authority to put in place the final actors on the world stage to wind down this generation that we are living in. But if a person does not have “wisdom” then the knowledge of these historical events mean nothing to them in the Big Picture that God is orchestrating to come to pass to bring His will into being completed. When Jesus said that “this generation will not pass till all be fulfilled” We must re-emphasize what a generation is. The Psalms in chapter 90 says that a generation is 70 years, and 80 years by strength, then we fly away. So when in 1948, that timeclock of 70 years began for a generation born would see all things be fulfilled. And this year in May will be 70 years since Israel was reborn. It means that on the outside of 80+/- years, Jesus will be back on this earth, reigning and ruling for a thousand years. But a Tribulation of 7 years must be sandwiched between now and that end time of 80 years, somewhere of what was written of a generation in the Psalms. If the tribulation is that close, then the removal of the Church is even closer. This is the picture we see, and it remains to be seen when and how the generation of the Lord's return plays out according to God's plan and not ours. God gave us a general time frame. So we continue to warn the people, to give them knowledge, to hopefully produce wisdom and to lead them to understanding. We know not all will listen. But if only one comes to the understanding and escapes what is coming upon the earth known as the Tribulation, then that soul is priceless in the eyes of God. Our work is for even that one who believes, but we pray for more. So, in this message, I think it is good to step back once in a while and drink in the awesomeness of the events to which we are now almost daily witnesses of. As we see the hand of God moving directly in the affairs of this World to fulfill His Word in this generation, then our individual setbacks pale in comparison. We all should be encouraged to know that God is in control and that His Word will NOT come back to Him void. Even more encouraging words are spoken by Titus in chapter 2 that believers should not be quaking in fear of what is coming upon the earth, but we are looking for that “Blessed Hope” which is Christ, the Lord. Looking at the signs of the times is terrifying. Understanding the times of the signs means a 'crown of righteousness' and represents our 'blessed hope'-- the soon Rapture of the Church. Still, it is natural to feel a sense of fear, as after all, we all want to go to heaven, but none of us want to hasten that process by dying. It is as the old saying goes “everyone want to go to heaven, but nobody wants to die”. It's a natural human response that is fueled by the sympathetic nervous system, of the “fight or flight” desire to preserve life at any cost. But being fearful at times is not a sign of a lack of faith, it is a sign of being human. Paul explains that we are dual-natured creatures, part carnal and part spiritual, so it is not disloyal (or schizophrenic) to be afraid with the natural part and overjoyed at its spiritual implications. That is what 'understanding' is all about. Are you afraid of what is coming upon this earth? Are you fearful that your family could be swept away, or that death could be right around the corner for you or any of your loved ones? With all the violence even now in our schools, I don't blame you. It is entirely human to fear something you don't have understanding of. The whole world knows that something “BIG” is coming. Those who have nothing to place their anchor in are fearful of what is coming. They can see how the world is starting to implode upon itself, and evil is growing unabated and it is right on our front doors steps of even this country. Men's hearts are failing them for what is coming upon the earth. But if you think it is fearful now, just wait, if you be so unfortunate, to see what WILL come upon the earth in possibly a few short years. 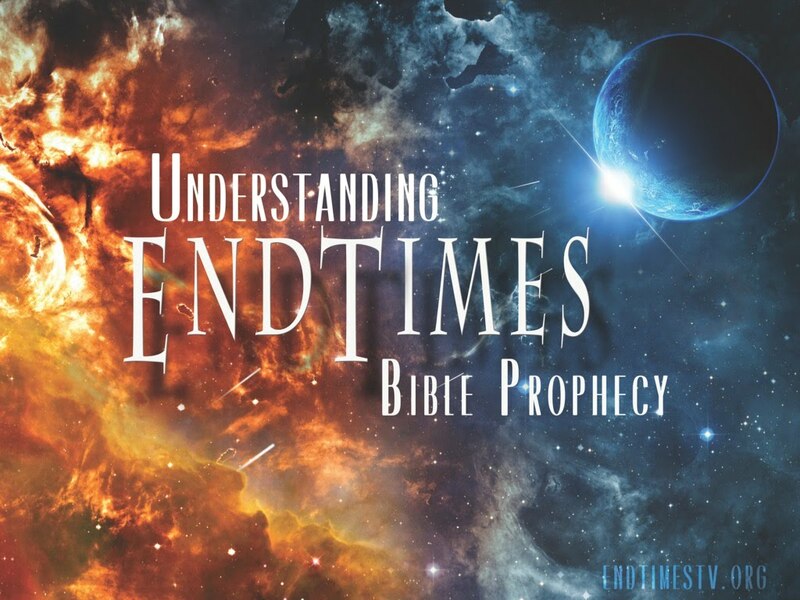 Men and women can't explain what is coming, they just have knowledge, but no wisdom or understanding of what God said would happen in these last days. A time of terrible suffering is fast approaching this world, even to the shores of this once great country known as the USA, which may not be so great in the time that is still to play out. 21 “For then shall be great tribulation, such as was not since the beginning of the world to this time, no, nor ever shall be. A time that anyone who has wisdom coupled with knowledge will receive understanding and turn to the only Source of not being afflicted with this time called Jacob's Trouble. It is calculated that during the time that is fast approaching 80%+ of all man-kind left on earth will be destroyed. That is 5-6 billion people in 7 short years. Will you be amongst those who meet an untimely death and devoid of any hope for eternity? Many people will miss this coming span of death and destruction, but many people will endure this intense suffering and most assuredly death from something none of us want to think about. But make no mistake, it is coming. Jesus is coming, and His wrath will fall on all who have not believed the following verses and confessed who Jesus is in their lives. My question to you, are you ready to meet Him? Him? Jesus Christ our Lord, for readers, He is coming, and He is coming soon. This is pastor Mike Taylor sounding the alarm. Jesus is coming and coming soon. If you need prayer, counseling, or just a listening ear, then email me at realteam1999@sbcglobal.net, or visit me online at www.pastormiketaylor.blogspot.com. God bless you all. Without a doubt, deciphering the overlapping and sequential end-time timelines can be difficult to parse at times. However, these difficulties do not arise from the Scriptures themselves, but in how men interpret those Scriptures. As the late J. Vernon McGee once said, the book of Revelation is one of the most reasonable, organized, and easy to understand books there is. Nevertheless, it is book number 66, which means one must have a working knowledge of the previous 65 books. To which I agree. Therefore, before we progress any further, we must go back and add some foundational groundwork. For the purposes of this discussion, we will begin at the Abomination of Desolation event and work backwards toward the Rapture and the events immediately after Ezekiel 38-39. When Jesus spoke these words, I imagine Him (as God in the Flesh) looking into the future and describing this time to His disciples in the simplest form of understanding He could convey to them. These disciples do not yet have the Holy Spirit given to them for understanding. The Olivet Discourse was given to them pre-crucifixion, pre-ascension, and pre-Pentecost. Therefore, the Olivet Discourse was really just rough outline that bridges the gaps between the Old Testament prophecies they knew, and the New Testament prophecies that would later be given to them. The overarching themes was the last days and very much in context with what His disciples asked Him (Matt. 24:3). The book of Revelation (as given to the Apostle John) would later fill in the details of this overview. Matthew 24:15 then marks the mid-point, with the event we commonly refer to as the Abomination of Desolation. Jesus told His disciples (and whoever reads this) to refer back to the book of Daniel for context. Now there are three issues I want to take up regarding Daniel 9:27: The first is the "he" in Daniel 9:27, the second, is the term "in the midst," and the last is what desolations mean. Two eschatological views (primarily Pre-Wrath and Post Trib) try to confuse the "he" in Daniel 9:27. They attempt (grammatically) to attribute the "he" in 9:27 as referring to Messiah Jesus by pointing back to Daniel 9:25. However, in order to do this, they have to jump over one other person who is mentioned by title, the "prince who is to come." The nuanced argument then goes, that the "he" in verse 27, cannot be the nearest antecedent of the "prince who is to come," because the prince (vs 26) is an object noun, rather than the subject noun. According to them, this prevents the "he" in vs 27 from being the nearest antecedent relationally to "the prince who is to come." Nevertheless, it only makes sense that "the prince who is to come" is not a subject-noun of verse 26, since he is not the one doing the destroying. He simply comes from (or out of) the people who did the destroying. This makes him come from somewhere within the boundaries of the old Roman Empire, since they destroyed Jerusalem and the Temple in 70AD. The Roman Empire was huge, so this does not necessarily narrow down the list of potential candidates. However, it does limit where this future leader will come from. We know he is not coming from China, Russia, the United States, etc. The Angel Gabriel gave this prophecy to Daniel in order that we (the applicable generation) would understand where this He (the prince to come) would come from. He is the one who confirms this covenant. PreceptAustin.org has exhaustive analysis on this particular topic and the different perspectives for it. For brevity's sake, this is a paraphrase of the main points as to why the "he" in Daniel 9:27 is NOT referring to Christ, but rather, Antichrist. The last person mentioned (by title) is not Messiah the Prince, but the Prince who is to come. The Last Antecedent Rule should apply here so as not to damage the context of the connected passages. This cannot be referring to Christ's finished work on the cross, since the New Covenant in Christ's blood is an everlasting one, not confined to seven-years. Christ did not come from out of the Roman Empire, but from out of Israel. When did Christ make a seven-year covenant with the many? How did Christ cause the sacrifices to cease? They continued for another 40 years after His crucifixion in 32/33 AD. Does the term "in the middle" mean the exact middle or could it mean 'near the middle'? I only include this because we should explore all the potentialities regarding this phrase. There are 269 times in the Old Testament that uses that terminology...very few of them refer to the exact middle...most of them mean 'near the middle' or 'close to the center'. What if verse 27 is for 1230 days instead of 1260 days? Isn't that "in the midst" of 2520 days? Have you ever wondered why Daniel 12:11 states And from the time that the daily sacrifice shall be taken away, and the abomination that makes desolate set up, there shall be a thousand and ninety days is for 1290 days instead of 1260 days? It cannot be both 1260 and 1290 days, so, which is it? The answer could be located in the term "in the midst". It could be that the first part of the Tribulation is for 1230 days and the last part is for 1290 days. Let us look at these as theory A and theory B.
Covenant Confirmed: Theory B (1230 days commences until A of D). This still leaves AC rule for 1260 days. Adds 30 days after Armageddon. Theory A (1260-1260 day) is similar to the theory B (1230-1290 day) in that they both believe that the Anti-Christ's absolute rule will last for exactly 1260 days (forty two months, time, times, and half a time, and a thousand two-hundred and threescore days). Both theories believe that after 1260 days, the last judgements (seal, trumpets, vials) will have occurred and Jesus Christ returns at Trumpets to the battle of Armageddon. Daniel's 70th seven ends there with theory A and does not really address the sixth and seventh Feasts of the Lord. They happen after Jacob's trouble is over. With theory B, the end of Jacobs's trouble does not end here, but rather 30 days later. This takes into account the Day of Atonement, and Tabernacles. Tabernacles lasts for eight days until Tishri 23rd. Seven days later a new creation will have begun and the Millennium Kingdom will commence. According to Daniel 9:24, the end of "Jacob's trouble" will not occur until six things happen: 1) to finish the transgression, 2) to make an end of sin, 3) to make reconciliation for iniquity, 4) to bring in everlasting righteousness, 5) to seal up the vision and prophecy, 6) to anoint the most Holy. With theory A, there is no time for all of this to happen if the Tribulation is over when Jesus returns at Armageddon. With theory B, there is sufficient time for the before mentioned six results to occur. There is still time for Jesus to fulfill the remaining feasts of Atonement, and Tabernacles. Matthew 24:30-31 as well as 25:31-46 (judging the nations) will occur during the last 30 days after Trumpets. ...and for the overspreading of abominations he shall make it desolate, even until the consummation, and that determined shall be poured upon the desolate. 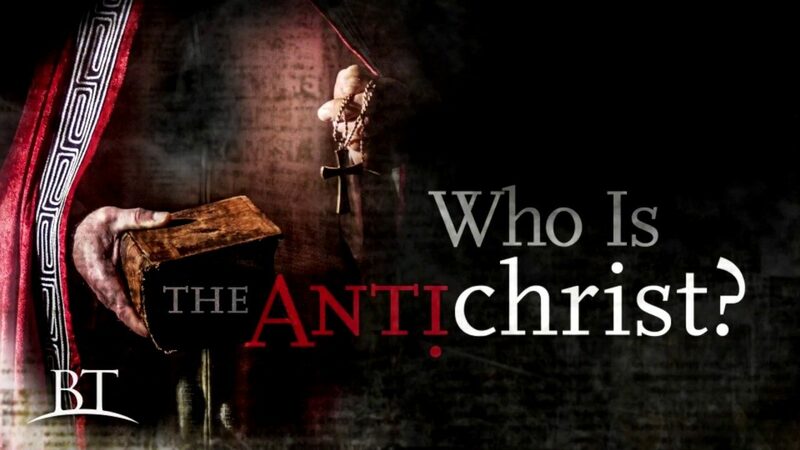 We understand that at the mid-point, this man (Antichrist), who comes from out of the boundaries of the old Roman Empire, desolates the newly rebuilt Temple and causes the newly reinstituted sacrifices to cease. We know this was not the case in the siege of Jerusalem in AD 70 by General Titus and his legions, because the temple was destroyed before they could defile it. Historically, we know the Jews were familiar with the type of desecration Daniel is referencing here because Antiochus Epiphanes had committed a similar event around 167BC, which subsequently triggered the Maccabean Revolt and why we have the feast of Hanukkah. Antiochus did not try to destroy the temple, he slaughtered a pig (considered unclean) on the altar in the Holy of Holies. We also know this prophecy (Dan. 9:27) has not yet been fulfilled yet, because a Jewish temple has not existed since it was destroyed in AD70. This only leaves us the option of a future temple that will at the mid-point, be ceremonially desecrated. Jesus warned those Jews who saw this to flee when this happened. In Luke's Gospel, his accounting of the Olivet Discourse also records an additional warning by Jesus for the Jews to flee Jerusalem when it was surrounded the first time (Luke 21:20-24). We know this part of the passage was referring to the 70AD event because Jesus caps it off with a "prophetic bookmark" if you will, that separates it from the context of the last days. And they will fall by the edge of the sword, and be led away captive into all nations. And Jerusalem will be trampled by Gentiles until the times of the Gentiles are fulfilled Luke 21:24. Of course, we should all be familiar with the Six-Day War and the recapturing of Jerusalem by the Jews in 1967. While the Gentiles still "trample" the Temple Mount via Dome of the Rock and the Al Aqsa Mosque, the city has become unified under Jewish rule for the first time since 70AD. Last week, we looked at the divine delivery God gives Israel at conclusion of the battle of Gog and Magog, and how that drives them to want to build the third temple. It also removes the obstacles for doing so. I also mentioned specifically that there might be a gap in time of "seven months or more." Likely, there is more and it is anywhere from seven months to three and a half years. This gap theory also allows the burning of weapons for seven years that as mentioned in Ezekiel 39:9. If we have three and a half years before the covenant is confirmed (Dan. 9:27) and three and a half years until the mid-point where the covenant is broken, then we have seven-years. This seven-year window overlaps with the start of the seven-year 70th Week and by extension theory A or B (whichever actually plays out). It is during the gap, and up until the mid-point, that we see the arrival of the Two Witnesses (Rev. 11), who for 1,260 days, position themselves in Jerusalem presumably in or around the new third Temple, visibly demonstrating the power of God.